Enjoy the best inspirational, motivational, positive, funny and famous quotes by Alan Russell. Use words and picture quotations to push forward and inspire you keep going in life! The richer we are, the longer we live. 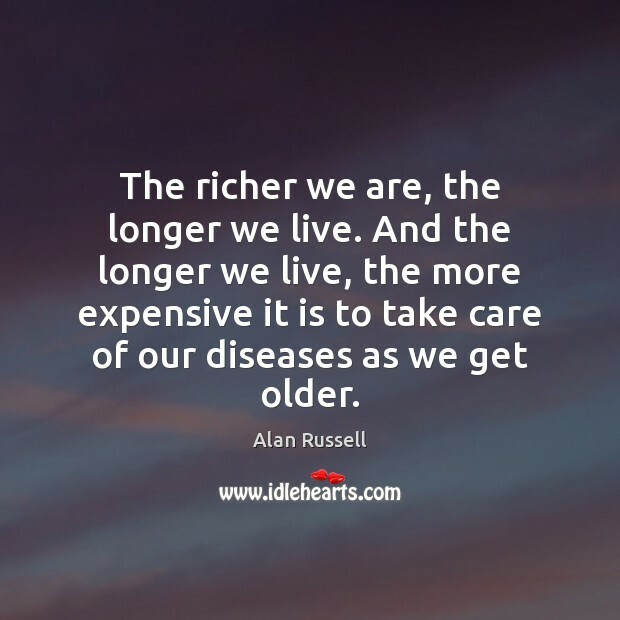 And the longer we live, the more expensive it is to take care of our diseases as we get older. 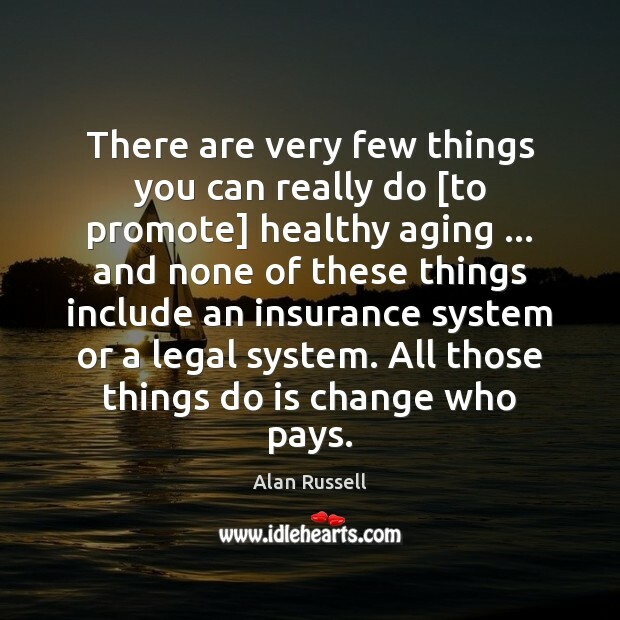 There are very few things you can really do [to promote] healthy aging ... and none of these things include an insurance system or a legal system. All those things do is change who pays.